Tonight’s the second episode of MTV’s new creation Stranded with a Million Dollars, and it’s going to start getting ugly. I can’t wait til they start killing each other off. The show pits 10 Millennials against each other in a challenge to survive on a South Pacific Island, for 40 days with $1million. Those who survive the entire 40 days will split the money that remains at the end, equally. Apparently, Millennial stereotypes will not let us down in this show. “I think MTV got a hybrid of Lord of the Flies and Hunger Games. It may have been a little more extreme than they anticipated,” says Kevin Lee, its creator and owner of the show’s production company, Tollbooth TV. What makes this show different from any other survival show out there is the use of robo-cams and drones for the vast majority of the filming. 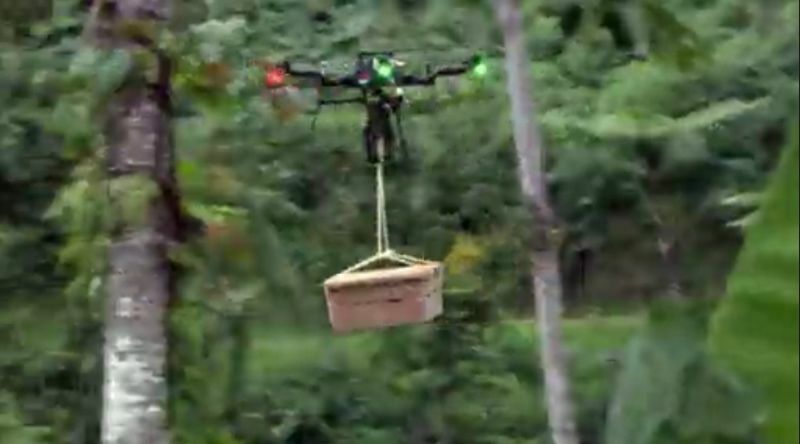 The drones also deliver things the participants buy with the money they have on hand, such as food, supplies, and fire-starting kits. There was very little human interaction with the cast and crew, with a team of four drone operators running cameras on seven different drones in rotation. Although they had lots of replacement parts, Lee admits that four drones were totaled during the filming. Small price to pay for that amazing footage. 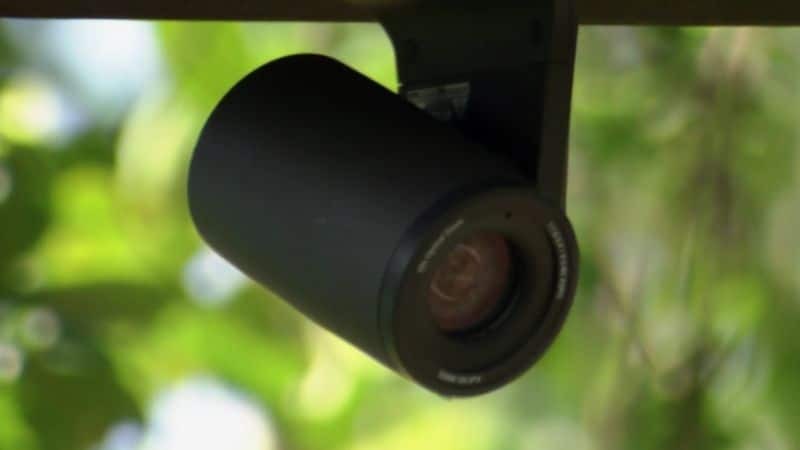 Twenty-four robotic cameras were used, with 12 mounted around each campsite. Such a tech-forward production required A LOT of crew — 200 people at one point — to make it all happen. They also hired island locals to help them haul all the gear and supplies out to the remote locations where they were filming in the jungle. The whole production was a massive challenge because of the locations they were filming. Lee says that a large chunk of the first crew they hired quit after the first scouting mission through the jungle. Those who remained went through all the same muck, slime, and rain as the competitors. All those robo cams, drones, regular cameras, and microphone battery packs require a lot of juice to stay charged, especially in the middle of nowhere. They spent $40,000 on generators alone, and there were crew members whose only job was to keep the generators gassed up, and the power on. And while there were some actual cameramen filming the show, too, they weren’t all close and up in your face, the way they are for most reality shows (speaking from experience here). There were four human cameramen using extreme telephoto lenses from areas outside the immediate camp. “Production limited interaction [with the show’s participants] to battery-pack changes on the microphones — there was 90 per cent less interaction than you have on a regular reality show,” he says. “We’re fans of all the other survival shows but the cast of those shows are never really alone. We think that undercuts the premise of them being isolated in the wilderness. “We wanted to find a different way to film it so they felt alone,” Lee explains. The show wasn’t initially created with Millennials in mind; however, once MTV bought the production, they collaboratively decided it would be fascinating to see how Millennials behaved when left in a survival situation with nothing but the clothes on their backs. “Cody pulls the most diabolical d**k move that I’ve ever seen on a reality show. He uses something as a weapon that you would never think could be a weapon. There’s a hint in the trailer…,” Lee says. I couldn’t find it. Let us know in the comments if you figure it out! What could they bring with them??? Cast members were only allowed to bring the clothes on their backs. They were searched beforehand. And producers took away some cheater items like a bracelet made of a usable twine, and a few pocketknives. “A lot of them were smart. And a lot of them were dumb. The Eagle Scout literally showed up in leather Topsiders and no socks. How dumb could that be?” Lee asks. Are the journeys between camps going to get harder??? Every week the route of the journey through the jungle to their next camp, and next $100,000, will be more difficult and more dangerous. People are going to start dropping. Did any of the Millennials have a meltdown about being off the grid??? Nobody specifically freaked out about their lack of social media access, but it took a toll on them psychologically because this is a generation that is used to getting constant encouragement from the peanut gallery. “They knew that they were going to have to survive with just the clothes on their back, but they didn’t know how the money would work, or what they would win. “They all assumed they would have access to some tools. Some of them didn’t take [the instructions] completely seriously, and thought ‘well, they’ll just feed us off camera.’ They were wrong,” Lee says. 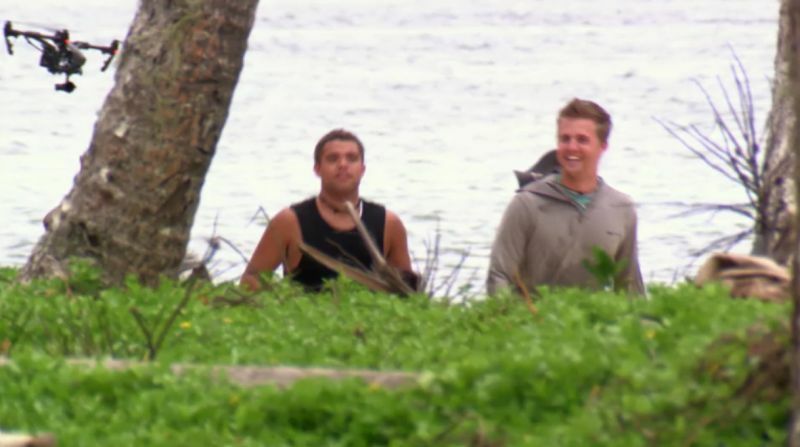 Check out this exclusive clip of what’s to come on MTV’s Stranded with a Million Dollars. Stranded with a Million Dollars airs Tuesday nights at 10/9c on MTV.